SAMES KREMLIN | Caruelle Nicolas | Ultimate paint finishing quality with immediate savings! 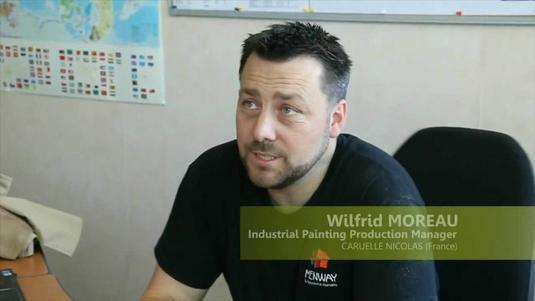 Caruelle Nicolas | Ultimate paint finishing quality with immediate savings! 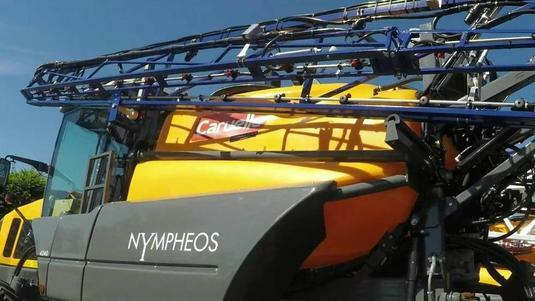 CARUELLE NICOLAS which designs, builds and provides a full range of agricultural sprayers has chosen the Nanogun Airmix® electrostatic spraygun to meet its high level quality standards. Created in 1871, CARUELLE NICOLAS becomes specialized in agricultural spraying for crops, vineyard and orchard. 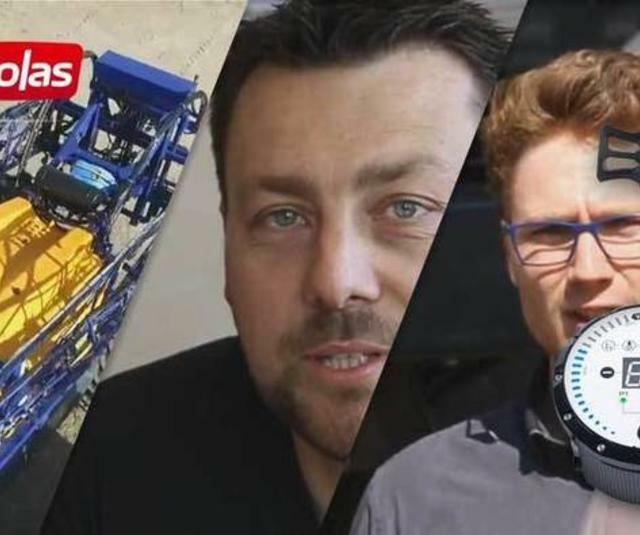 Located near Orleans, at 130 kilometers from Paris, CARUELLE NICOLAS designs, builds and provides a full range of sprayers for every customer around the world. Accurate and reliable, the CARUELLE NICOLAS sprayers are designed to be always more efficient, and be the answer of the customers’ expectations. THOMAS for vineyard and orchard protection. The quality of the equipment range is a key factor for success. That is why the decision to go for the new electrostatic Nanogun Airmix® manual spray gun was taken. The Nanogun Airmix® manual electrostatic spray gun combines all the SAMES KREMLIN skills and knowledge for spraying liquid paints at medium and high pressures with additional air. It is the perfect tool for the agricultural sprayer market. The Nanogun Airmix® makes a difference with its lightweight, ergonomic design & excellent wraparound effect, thus improving the overall operator experience. Paint may be supplied to the Nanogun Airmix® by using a paint pump. When spraying, the charged paint drops follow the lines of the electric field to the part. Electrostatics result in paint savings and wraparound effect reducing overspray & pollution. The finishing area comprises 2 main paint booths, one dedicated to the application of the primers and the second dedicated to the final coat. Parts being sprayed go then directly through an oven to finish the drying process and acheive the required quality. The shapes of the parts are very different, from small parts to larger frame parts. Several colors can be applied using our 2K Cyclomix™ Airmix® dosing system. The main objectives were to make products savings, reduce the spray booth contamination, speed up the production capacity and ease the work of the team! "With the new Nanogun Airmix®, we noticed some really positive points, good maneuverability at the wrist thanks to its lightweight design, an optimal wraparound effect regarding of the size of the part and the required output, easy to use and maintain by our painters, whatever their experience, in a few words: a finish quality level which really meets our company quality standards!" "The Nanogun Airmix® spray gun is a very reliable product, in 1 year of use, we have had no breakdown, the numerous possibilities to adjust application settings have enable us to reduce the overspray significantly and thus to acheive paint savings, It is a very lightweight product, easy to handle and that will be appreciated by all users because of its ease of use and simplicity of design. As a resume, the spraygun meets our high-en quality standards!" "Since I have been using the Nanogun Airmix®, I feel less tired thanks to its lightweight design and its assisted trigger. On the larger parts, compared to the older guns, with the Nanogun Airmix®, I go faster with the higher flow rate and the constant electrostatic effect. Another point, the gun generates a minimum of overspray and the maintenance of the spray booth is much more easy! The Nanogun Airmix® spraygun is easy to use and fast to clean and to mount!"